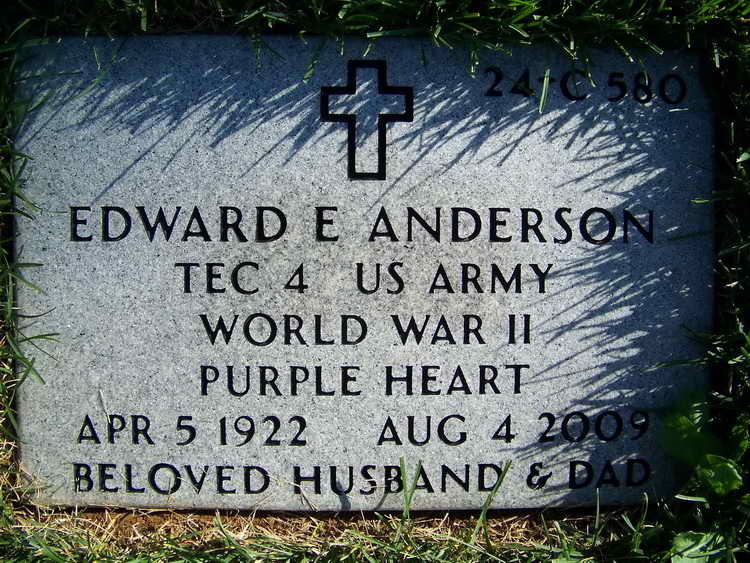 Grave marker for Edward E. Anderson at Section 24C, Site 580 in the Indiantown Gap National Cemetery, Annville (Lebanon county), Pennsylvania. Edward enlisted in the Army at Philadelphia, PA on 7 November 1942. He served with Hq Hq and Service company, 508th PIR.